Remodelaholic | Clever Storage Ideas That I love! 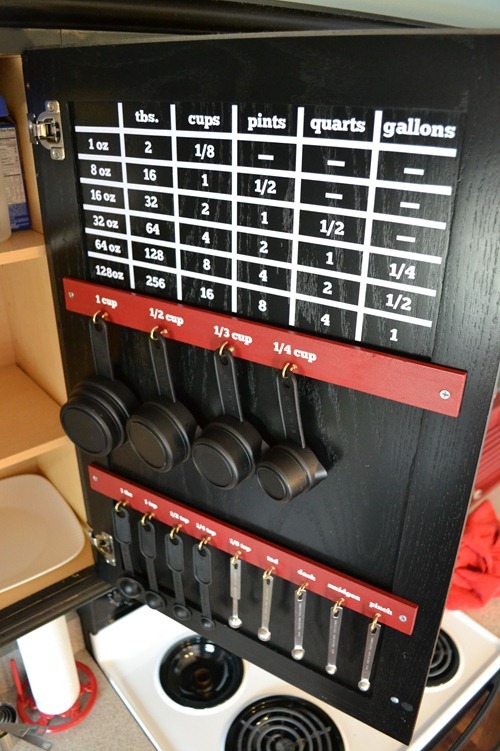 Clever Storage Ideas That I love! I am writing a post about finding storage space for Tip Junkie next Wednesday so I have been thinking about storage! Here are some great ideas and links to storage projects! I love these storage bins on casters. They would look so cure under a bench in an entry way. I love the idea of using the interior of you cabinet doors.. like this, it contains so much wasted space! I love the way this cleans up the space under your sink! Genius! 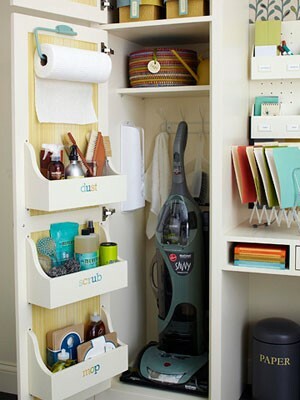 A way to hide your cleaning supplies in the bathroom! In usually unused space! I love the idea of capturing the space above a window (or door!)! It creates almost a valance of sorts and would be a great spot for decorative boxes(holding the ugly stuff! ), books, plants, you name it! Where did you find the storage wall insert for bathroom supplies? I have searched everywhere and can’t find one! Love the idea and all the others on your page! Kim i just saw the idea on Pinterest, if I remember right, but it would be a pretty simple diy project (if you like projects!)! Looking at the picture of the storage bins on casters; did you make those or post a picture from Martha Stewart? I love the idea and am in need of creating a storage bench for our newly remodeled mudroom. The only steel galvanized utility bins I can find are 12x11x17. I was hoping to find something larger, and this picture looks like it could possibly be just that. 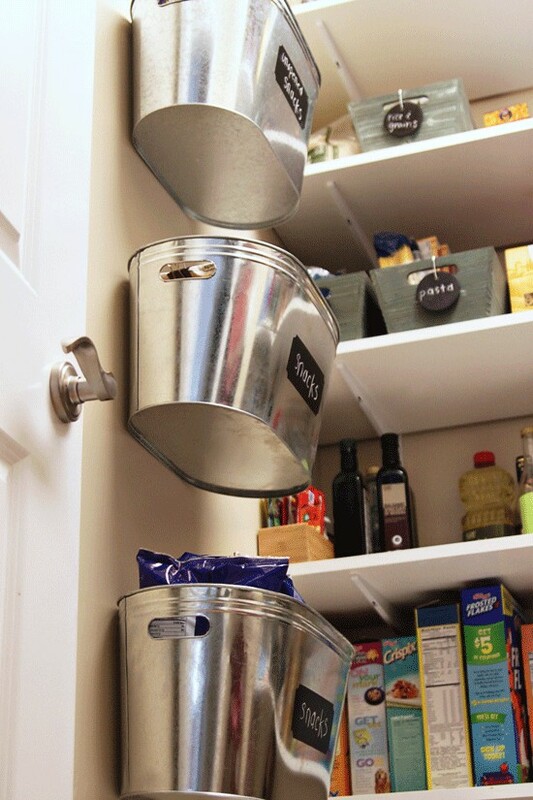 Any ideas on where to source these bins?